Learn how to make your very own cannabis extracts! As of late, cannabis has become a popular method to treat a number of ailments and illnesses. The once-shady view of this healing herb has become broadened from “dangerous drug” to “effective medicinal plant.” It has been known to treat small ailments, such as arthritis and sore muscles, to larger ones, such as glaucoma and insomnia. Cannabis extracts are oils and other products that have been reduced to create often smokeless, but still effective, medicine. Why should you buy this audiobook? 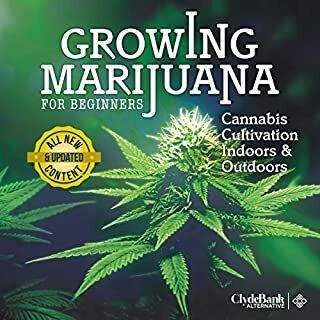 You should buy this audiobook because it presents a simpler approach to cultivating and growing marijuana. Second, the step-by-step guide is easy to understand and follow. Cultivating your own marijuana doesn’t have to be complicated. This book will show you the simple approach, step-by-step. You will also learn all the essential questions you have in mind about Cannabidiol or CBD. It will provide everything you need to know about the most popular form of cannabidiol - the CBD Hemp Oil. Have you ever wanted to brew your own beer? Distill your own whiskey? 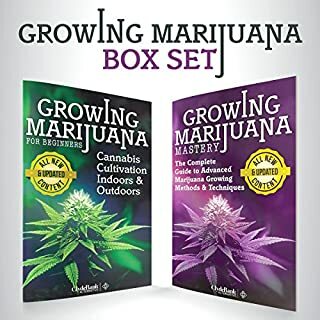 Develop your very own homegrown marijuana? Why not all three? This do-it-yourself bundle from Richard Altman combines three of his home crafting manuals into one convenient package. Learn the ins, outs, techniques, pitfalls, and best practices for creating your own alcohol and growing your own weed - all from scratch, all from home, and all for novices. Martin A. Lee traces the dramatic social history of marijuana, from its origins to its emergence in the 1960s as a defining force in a culture war that has never ceased. Lee describes how the illicit marijuana subculture overcame government opposition and morphed into a dynamic, multibillion-dollar industry. Colorful, illuminating, and at times irreverent, this is a fascinating listen for recreational users and patients, students and doctors, musicians and accountants, Baby Boomers and their kids, and anyone who has ever wondered about the secret life of this ubiquitous herb. Get high now with the yummiest and sweetest of marijuana cakes. Marijuana is getting bad press because of its ability to negatively affect one’s behavior but, when used for the right reasons and dosage, it can have amazing benefits. According to studies, marijuana extracts can help cure more than 100 medical conditions including anxiety, pain, stress, insomnia, migraines, arthritis, ADD, ADHD, bipolar disorder, anorexia, cancer, Parkinson’s disease, hepatitis C, and a loss of libido. Marijuana is a taboo subject that no one wants to talk about. But it is becoming more and more popular in the medical community because of its medical benefits. It can help cure various diseases, including various types of cancer. It can also help ease physical and emotional pain. It can even treat various diseases such as emesis, anorexia, inflammation, obesity, cardiovascular disorders, glaucoma, epilepsy, obesity, and metabolic problems. So, sit back, relax, and let your Cannabis extracts making and cooking education begin by buying the audiobook now. So happy that bought it! I also appreciated how the author was thorough about the elements that need to be considered to effectively extract the THC in different processes. For example, when using alcohol to extract it, it needs to be above a certain alcohol content. Shows why essential oils cost so much. I bought this book because I thought the methodology for extracting cannabis oils could be applied to other herbs. This may be true but it looked way too complicated and expensive considering the small amounts I would need it for. Interesting though. Shows why essential oils cost so much. 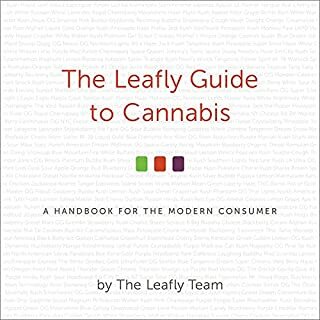 I’ve always been interested in making some hash and other cannabis extracts; as a medical user, I’ve been medicating with medical marijuana for a the last few years and this book got my attention, It provided me insight and easily explained how I could make hash, BHO, rosin and other concentrates myself. The part about traditional hash was really great, definitely some hard to find information about various marijuana extraction methods traditionally used around the world and great explanation on how to test your hash and cannabis extracts, never really knew that before. I think making cannabis extracts will be next. Been smoking sativa strains to help with my pain relief during the daytime and should try to get some dry sift out of my Sour Diesel. I think making cannabis extracts will be next. Great book, very understandable and easy to read. 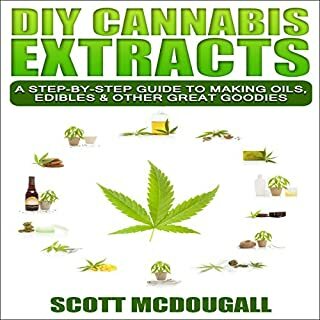 If you have been making extracts for years then there probably isn't anything new but if you are a novice then this handbook might give you a few ideas or twists that you haven't come across yet. 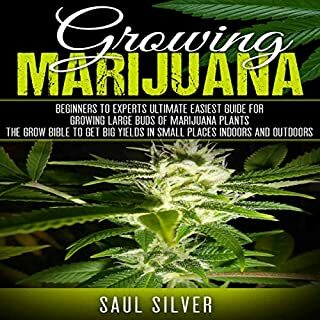 Good read for the every day enthusiast.good cheap techniques.good addition to your cannabis library. I'd recommend this book to friends. Learning all of these new things was so interesting to me and I can't wait to get started on making some of these edibles. I was expecting a how-to guide on how to make cannabis oil (which is basically all I really wanted) but this was so much more than that. Very informative did not realize there were so many different types of marijuana and what they can actually do for people. This is a highly comprehensive & practical book which reveals the physical characteristics and therapeutic properties of multiple CBD strains. I definitely recommend it to anyone interested in learning about the medicinal uses of cannabis. This book was simple to read, helpful for me trying to wade through too much information on the net. CBD may not be for everyone, but for the right people it is a game changer. Check out this book—very very helpful for a beginner. I needed help with sorting out what all the varieties of CBD were. We’ve got a seizure disorder in the family and cbd has been a scary but helpful adjunct for kids with untreatable seizures. One of the best for me! Very informative book on different strains of marijuana plants and break down of CB CB D % and TCH % in each plant. Short explanations and photos for each strain along with information about medical uses. Including descriptions of each strain flavor and combination of strains. 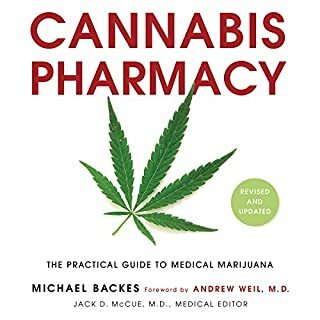 Very good book that details the different strains of CBD oil and the benefits of each strain. Very informative book. I know my body's needs better than anyone else. Within the past year I've been using medical marijuana, which is why I was interested in this book. I was not aware of all the many strains. It was good insight. I recently tried a different product for my health issues. Since using medical cannabis I feel more in control of my health. I know my body's needs better than anyone else. Great read, very interesting and wellness explained! Would recommend it to anyone who would like to learn more about cannabis extraction! 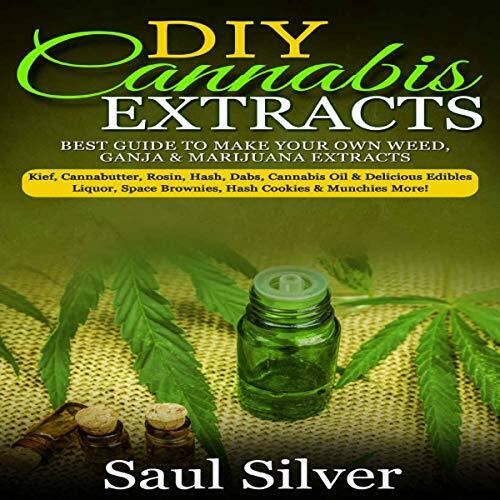 DIY cannabis extracts is a book where emphasis is on presenting details in the covered processes. The Author explains further why the methods works and the various chemical reaction that occurs during the processes. Would recommend.